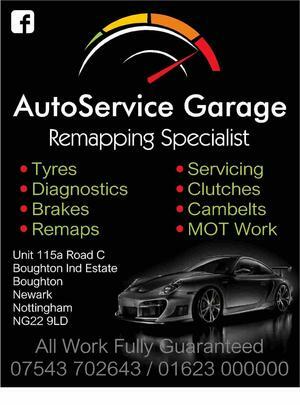 Here at Autoservice Garage we offer professional vehicle repairs at affordable prices. We cater for all vehicle's up to 3.5 tonne, whether it’s a car, van or 4x4. A solo mechanic in the garage, I am highly skilled with over 20 years’ experience. With a history working for main dealers and a local high street garage, this gave me the opportunity to gain and build additional knowledge on a wide variety of makes and models. We are always keeping up to date with the latest techniques and technology to ensure you are getting the service you deserve. All parts supplied are the OE specification, and our servicing often exceeds manufactures specifications. Take the hassle out of vehicle repair! We offer a collection and delivery service. If you prefer to come to us and wait, we have a waiting room where you will be offered refreshments. For those longer jobs, we have a courtesy car service which will keep you on the road until your vehicle is ready.